Atlantic Station is the sustainable and mixed-use redevelopment of the historic Atlantic Steel Mill in Midtown Atlanta. With a 12.5M square foot master plan that stretches across its 138-acres, Atlantic Station is one of the largest urban brownfield redevelopments in the country. Jacoby Development first conceived of Atlantic Station during the 1996 Summer Olympics. Over the next 15 years, JDI executed its vision for the $3 Billion project, which included the removal of 165,000 tons of soil from the property, the construction of the 17th Street Bridge over Interstate 75/85, and the development of a three-level, 8,000 space parking structure underneath the commercial core. To date, more than $3 billion has been invested in Atlantic Station. This includes $250 million in Tax Allocation District (TAD) funding from the City of Atlanta, the largest such public-private partnership in the State of Georgia. 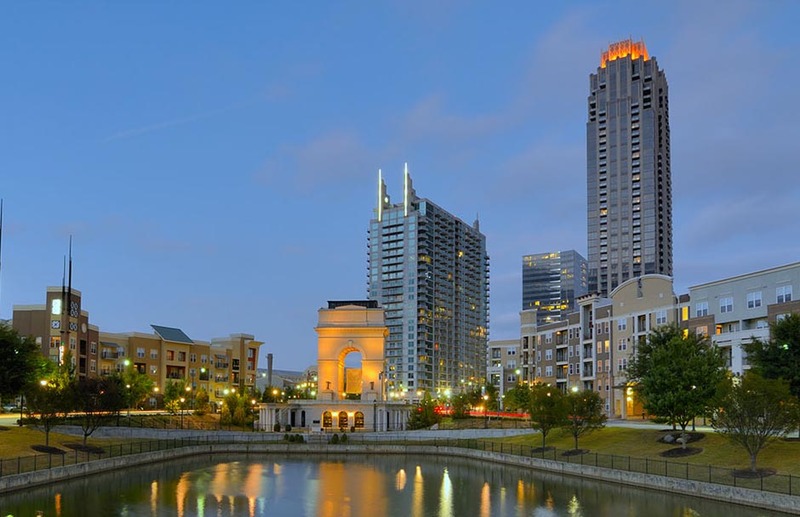 Today, Atlantic Station encompasses six million square feet of development, and includes more than 5,000 residents in 3,000 residential units, 7,000 employees, a luxury hotel, and 11 acres of public parks. Atlantic Station has been a success by many measures. First and foremost, it revitalized a long-abandoned industrial site that had been a blight on the urban landscape for many decades. It also provided a new model for high-density, walkable urban development, and was recognized by the US Environmental Protection Agency for its contribution to emissions reductions. 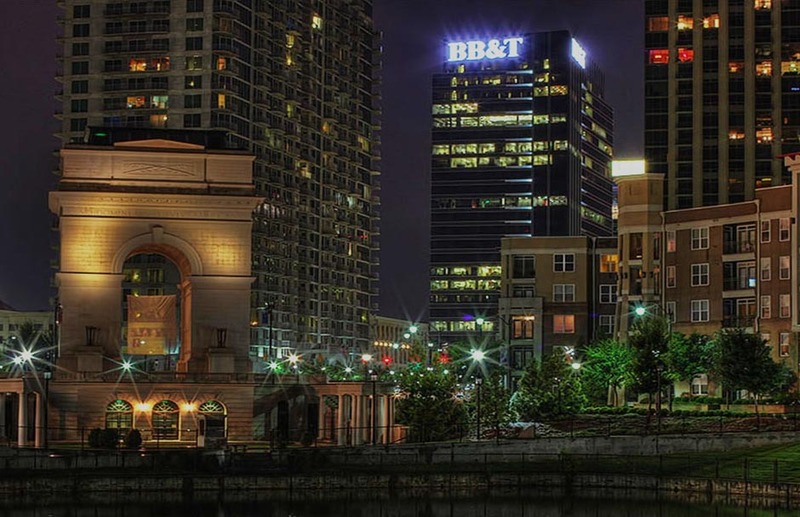 Perhaps most importantly, by knitting together Midtown Atlanta with the city’s long underserved and largely industrial westside, Atlantic Station was the catalyst for the wholesale revitalization of an entire quadrant of the city. Atlantic Station is the sustainable and mixed-use redevelopment of the historic Atlantic Steel Mill in Midtown Atlanta. 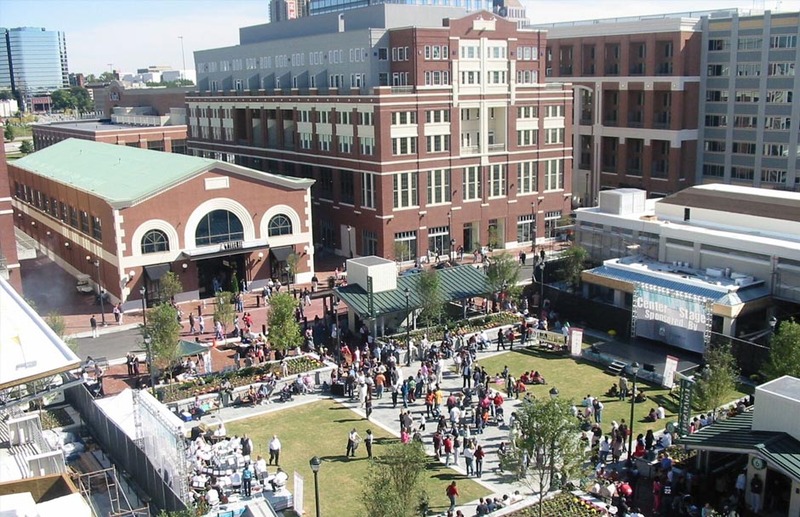 With a 12.5M square foot master plan that stretches across its 138-acres, Atlantic Station is one of the largest urban brownfield redevelopments in the country.